It can be very embarrassing if you have dark underarms, especially when you have to raise your arms or wear sleeveless clothes. Dark armpits tend to limit the type of clothes you can wear and even make you lose confidence. Dark armpits can be caused due to shaving, sweating too much, wearing dark colored clothes and even excess hair removal etc. We will look at some techniques which will help in underarm whitening. 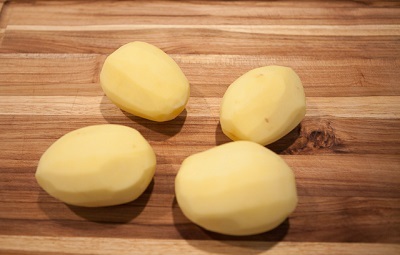 Potato has natural mild acidic property that whitens the armpits without causing any irritation. You can also try grating the potato, squeezing out the juice and applying it to the underarm. This should be left for 15-20 minutes and then washed off with lukewarm water. Repeat this twice daily. Or you can just rub a thin slice of potato on the armpit. Lemon is a naturally occurring bleaching agent and also has anti-septic as well as anti-bacterial properties. 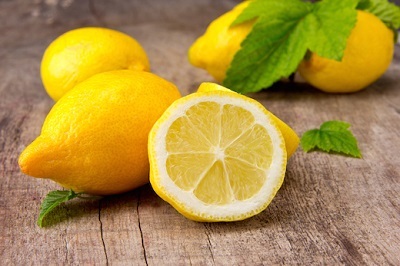 Many skin related treatments have lemon as an agent. Rubbing a lemon wedge on underarms will help in exfoliating as well as lightening it. It should be left for 10 minutes and washed off thoroughly. Lemon juice mixed with turmeric, honey or yogurt can also be applied for underarm whitening. Lemon tends to dry the skin, so a moisturizer should be applied later. Dark underarms can be caused due to accumulation of dead skin cells. 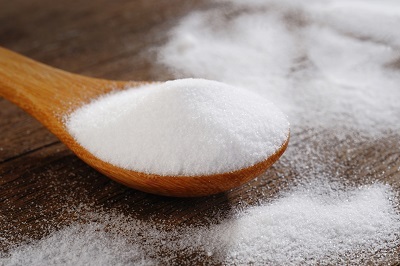 Baking soda can be used to remove the dead skin cells, unclog the skin pores and lighten underarms. A mixture of baking soda and water should be made and used as a scrub on the underarms. Thoroughly wash it off and pat dry. This should be repeated a few times per week. Besides, body odor can be neutralized by dusting underarms with equal mixture of baking soda and corn starch. Orange peel has naturally occurring properties to lighten skin and exfoliate so it is an excellent remedy for underarm whitening. 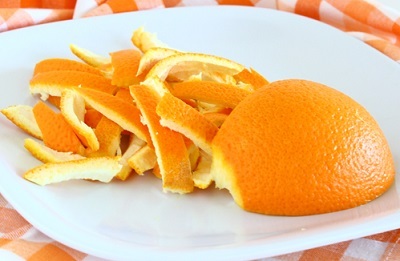 Sun dried orange peels should be powdered and 2 teaspoons of it should be mixed with rose water and milk to form a paste. Scrub this to the underarms and leave for 10-15 minutes. Wash off with cold water and repeat thrice a week. 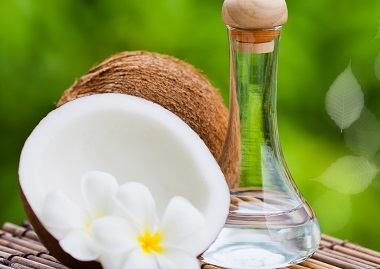 Presence of Vitamin E in coconut oil makes it a very good choice for underarm whitening. It is also a natural deodorant. Dark underarms should be massaged with coconut oil and left for 10-15 minutes. Then wash off with lukewarm water and mild soap. Repeat this thrice a week or till desired results are achieved. 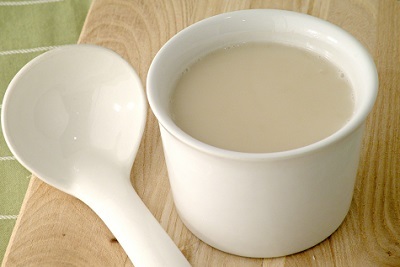 Milk has fatty acids and vitamins which help in making the skin soft and lighten the skin tone. Make a paste of full fat milk, flour and yogurt and leave on underarms for 15 minutes. Wash with cold water and repeat a few times per week. You can also soak some saffron strands in 2 teaspoons of milk for 15-20 minutes. Then add some honey to it. Apply this mixture on the underarms and let stay for 20-30 minutes. Repeat daily till desired results are achieved. 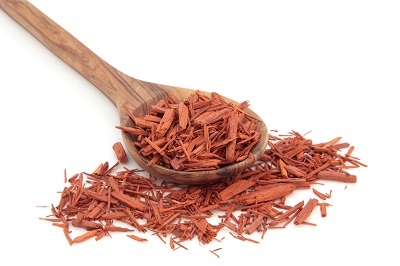 Sandalwood has skin lightening properties and hence excellent choice for underarm whitening. It can also help in reducing body odor as it is quite fragrant. To use, make a thick paste of sandalwood powder and rose water which can cools and softens the skin. Apply on underarms for 15 minutes. Wash with cold water and repeat daily. This remedy causes underarm whitening in few days’ time. The most effective medicine is hydroquinone, which in a concentrate up to 4% is prescribed. OTC creams can contain only 2% hydroquinone. Skin lightening agents from trusted brands only should be used and any cream containing mercury should be avoided. It is important to read the labels carefully before using any product on the skin. When natural remedies or medications do not work, a cosmetic surgeon can be approached for underarm whitening. Laser treatment has been used to lighten the skin, remove scars and freckles, however, with inconsistent results. This option can be considered when everything else has failed to work, since it is very expensive and the skin of armpits is very sensitive. So perform good check and visit a cosmetic surgeon with excellent credentials and experience. Keep the underarms moisture at least twice a day using naturally moisturizers like aloe vera or lecithin. Shaving causes the hair to be thick. Waxing should be tried since it removes hair from the roots, makes the skin soft and lighter. But hair removal creams should be avoided because they can cause irritation, rashes or itching and other skin related ailments. Strong chemicals used in deodorants should be avoided because they trigger an inflammatory response. Diabetes can also cause dark armpits. If so, diet should be modified to reduce intake of sugars and starch. Hair removal electrolysis treatment should be avoided as it causes discoloration of the underarm skin.